Good Shepherd Evangelical Lutheran Church in an independent Lutheran congregation which confesses and teaches all of the Bible as God’s unerring truth and proclaims eternal salvation by God’s grace alone and through faith alone in Jesus Christ, God’s only-begotten Son. More details on our teaching can be found under the Doctrine tab. Worship services are traditional, with the use of liturgy and hymns, and with faithful Bible teaching. 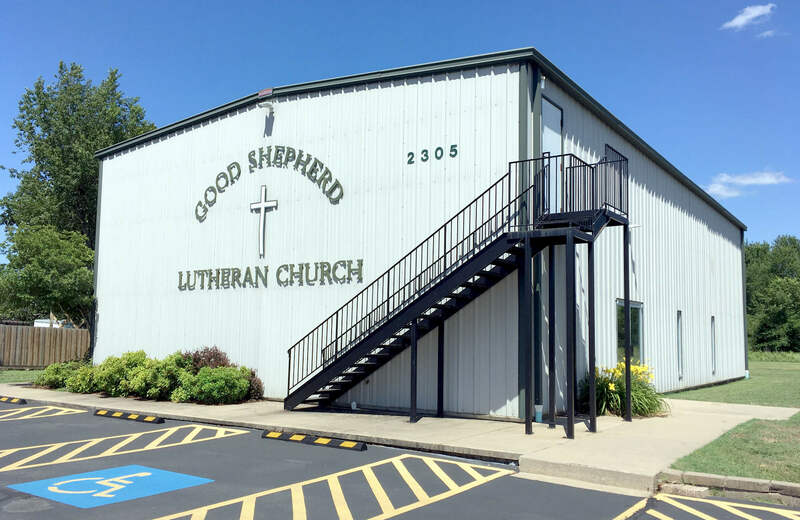 Good Shepherd congregation meets at 2305 S. Dixieland Road in Rogers, Arkansas (across the street from Rogers High School). Bible Study for all ages begins at 8:30 a.m. each Sunday. Our mailing address is: Good Shepherd Evangelical Lutheran Church, P.O. Box 2335, Rogers, AR 72757. For more information, email the church at pastor@goodshepherdrogers.com or call 479-310-5501.